Prior to joining Ironbark, Ryan worked at BlackRock in Australia as an Account Manager where he was responsible for working with intermediary investors across the full suite of asset classes and solutions. Before this he spent nearly 6 years in London where he worked in Institutional Sales at Barclays Wealth & Investment Management and as a Distribution Manager at EdenTree Asset Management working with intermediary investors. Prior to London, Ryan worked in Business Development at Skandia with intermediary investors. 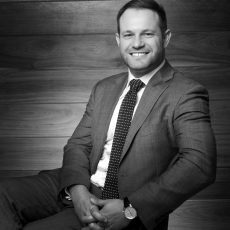 Ryan has over 10 years’ experience in the investment management industry, covering a range of products including stocks, bonds, ETFs, structured products and managed funds. This experience has been obtained whilst at some of the largest and more boutique companies around the world. Ryan holds a Bachelor of Business majoring in Management, is RG146 compliant, has completed the Investment Management Certificate through the CFA and is currently studying his Masters in Applied Finance.